Many of us are programmed to believe we need to keep our fingers and hands away from our face to maintain clear skin. We take our makeup off with cleansing cloths and wash our faces with rotating scrub brushes. 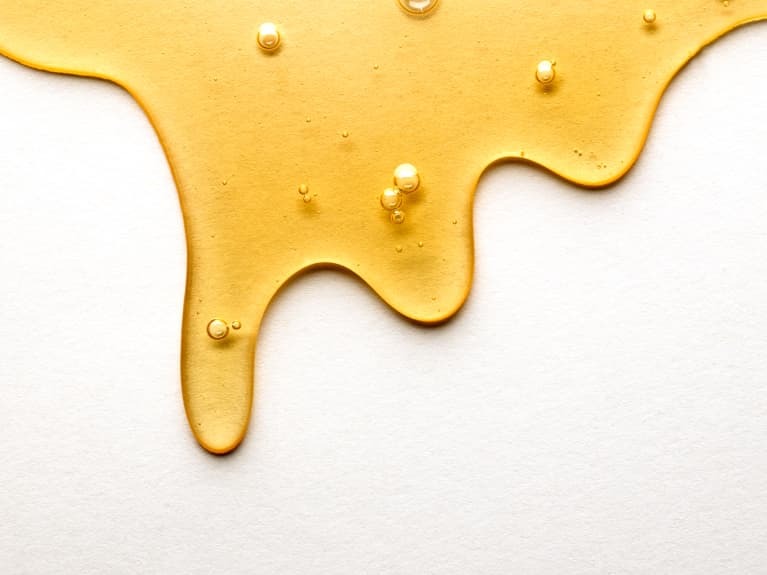 But there's a serious lack of connection in this way of self care: our hands are the most powerful and effective tool we have when it comes to skin care. Which is why I'm such a proponent of facial massage, gentle movements that delicately harmonize together, never losing contact, effortless and fluid. Through facial massage, tension around the jaw is released and tightness in the scalp loosens. Circulation increases, firming the facial tissue by stimulating muscles, aiding in lymph flow and allowing for deeper penetration of topical creams and serums. This also doesn't hurt when it comes to attaining a natural glow! 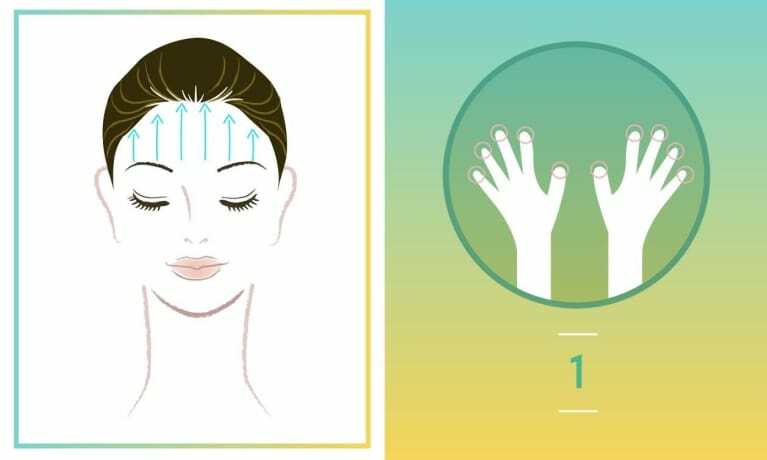 Consider also that your face has hundreds of pressure points, with each one corresponding to a specific part of the body. 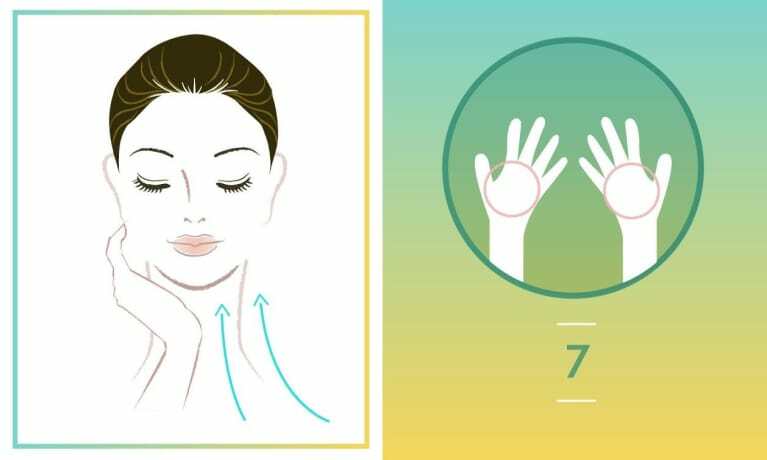 By gently massaging your face, your gain the ability to treat ailments as far away as your toes while bringing your body into balance. 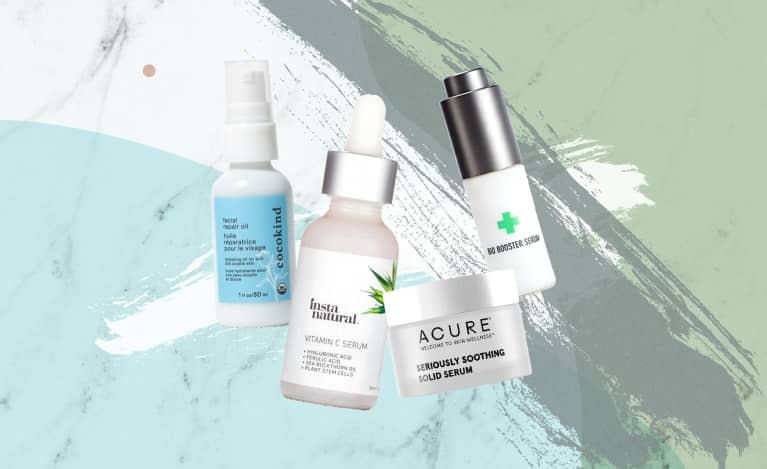 While conventional massages may be a luxury, the good news about facial massage is that they're totally DIY-able (all you need is a good organic oil or oil-based serum). Here's my favorite technique. Give it a try! 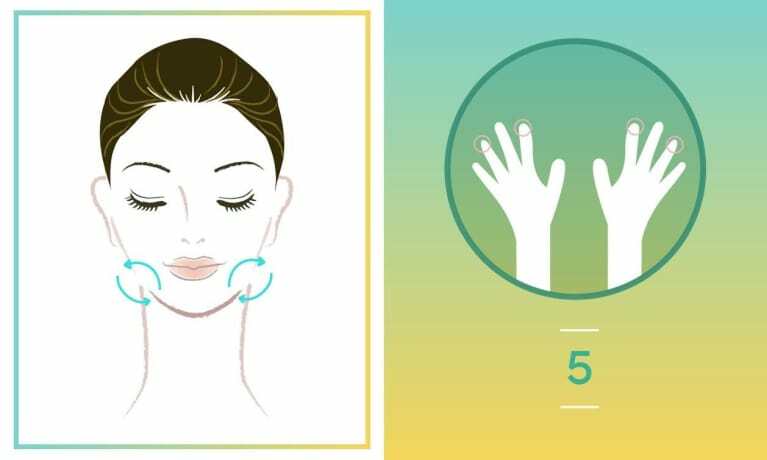 A good facial massage should be applied using warm hands, gentle-to-medium pressure, continuous contact, and should be fluid and smooth. 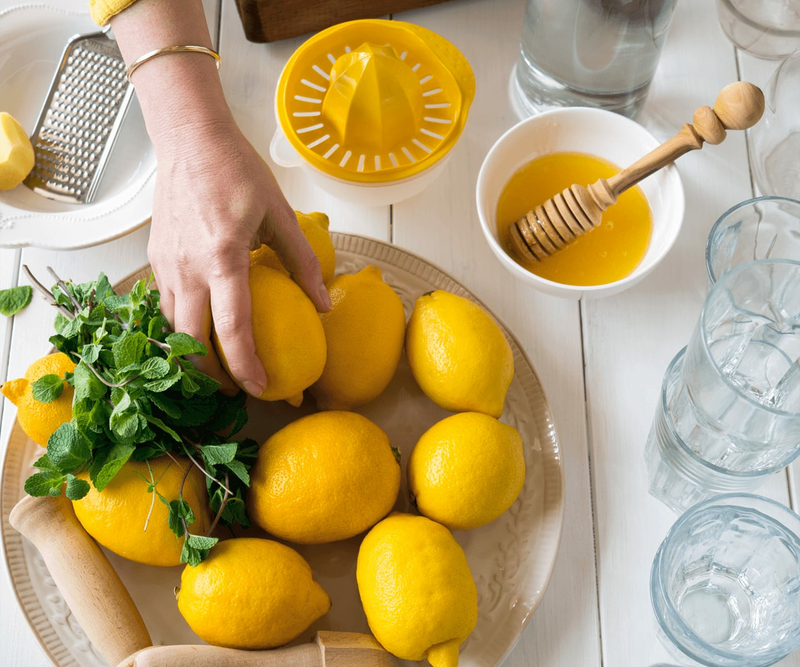 Your fingers and hands should never drag across the skin — it should be easy. Make sure your face and hands are thoroughly clean before you begin and your fingernails are short. Touch your face with love and tenderness; be gentle and mindful. 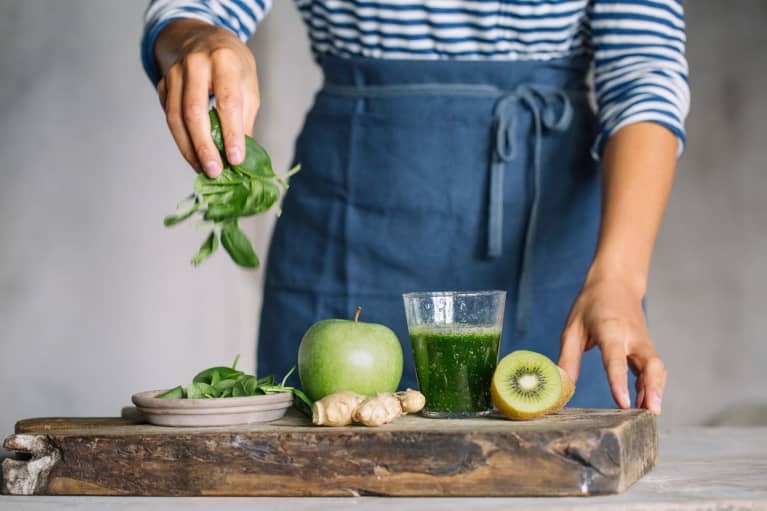 If you're dealing with specific skin issues you'd like to heal, set a healing intention before you begin. 1. 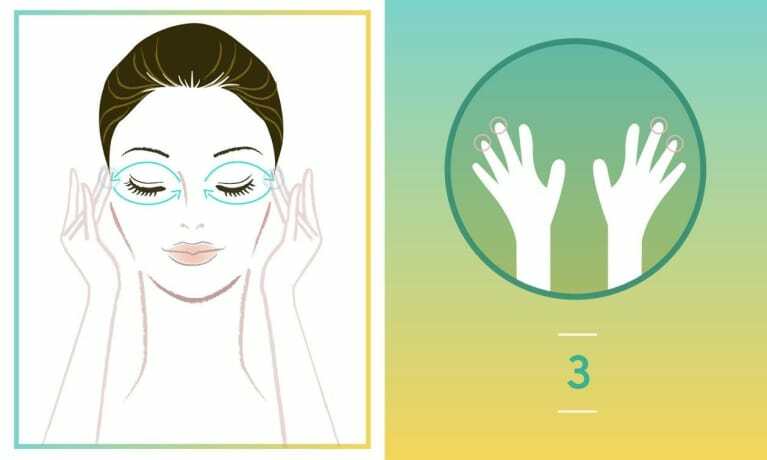 Place all 10 fingertips above your eyebrows. Gently and slowly push up to the top of your forehead and into your scalp. You choose whatever pressure feels good. Repeat this movement five times. 3. Using your index and middle fingers, place your fingertips on your temples. 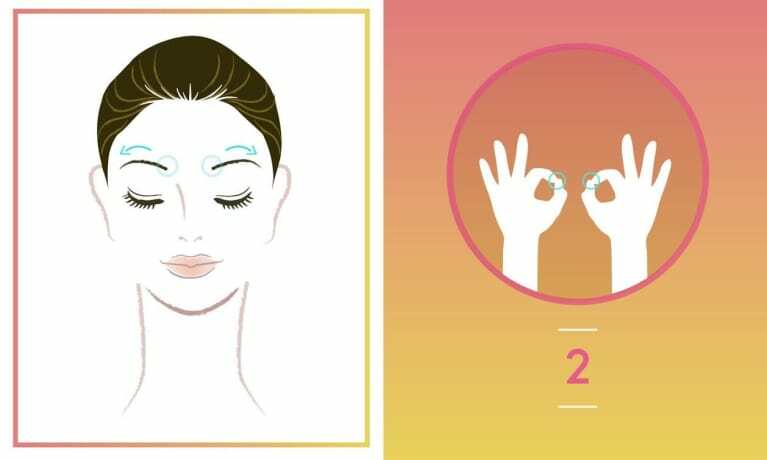 Gently massage for a few seconds before gliding your fingers under the eye area, toward the bridge of your nose, then up and over your eyebrow, ending the oval path back at your temple. Never lose contact. Repeat this move five times. 5. 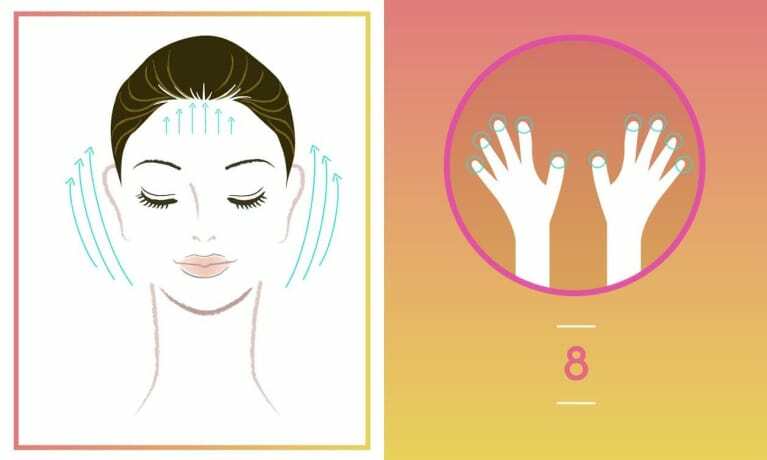 With your fingertips just below your ears, gently massage along your jaw in circular motions with your index and ring finger, toward your chin. Repeat this motion as many times as you like until your jaw begins to relax. 6. Next, make a "peace sign" with your left index and middle fingers. 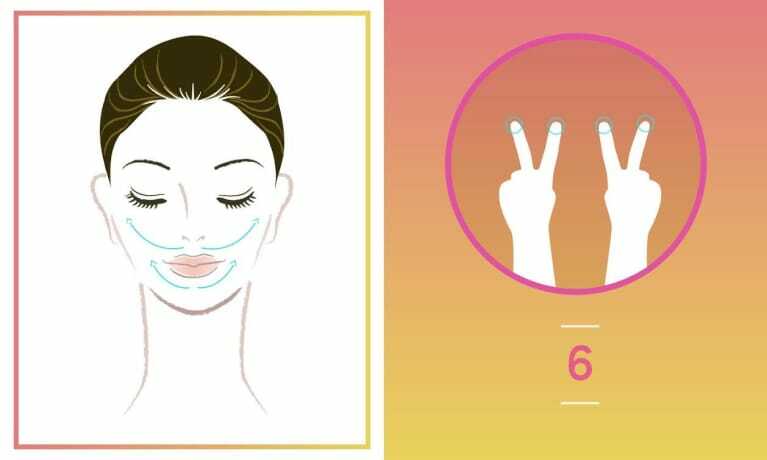 Place your pointer finger just above your upper lip/cupid's bow and your middle finger just below your bottom lip. Gently pull your fingers toward your ear simultaneously. Alternate to your right hand and repeat five times. 7. Now place your hands palms-down on your decolletage/chest. 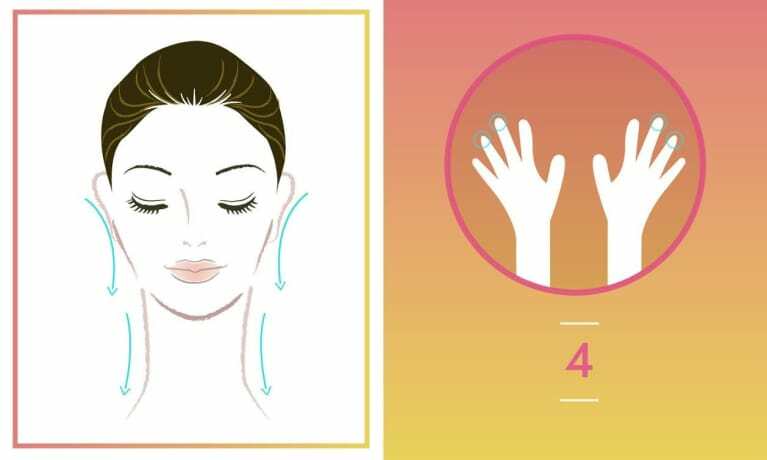 Starting with your left hand, gently glide the hand up your chest and neck, toward the chin. Alternate to your right hand and repeat five times. 8. Lastly, massage your scalp. The pressure is up to you, but don't be afraid to apply deeper pressure then you did on your face. 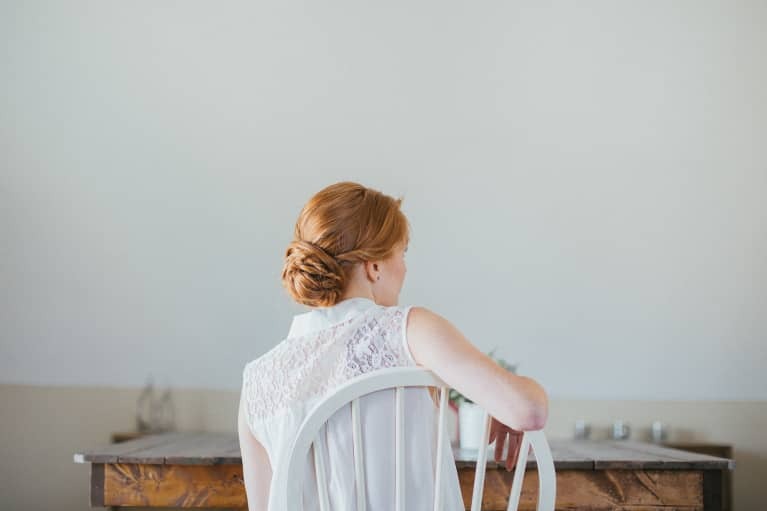 Pay attention to the back of your scalp at the base of your skull and the front of your scalp where your hairline begins. You'll start to feel the tightness in your scalp loosen. 9. To end, gently place your hands over your face and take a few deep, relaxing breaths. With each exhale, feel your body release whatever you're holding onto that doesn't serve you. 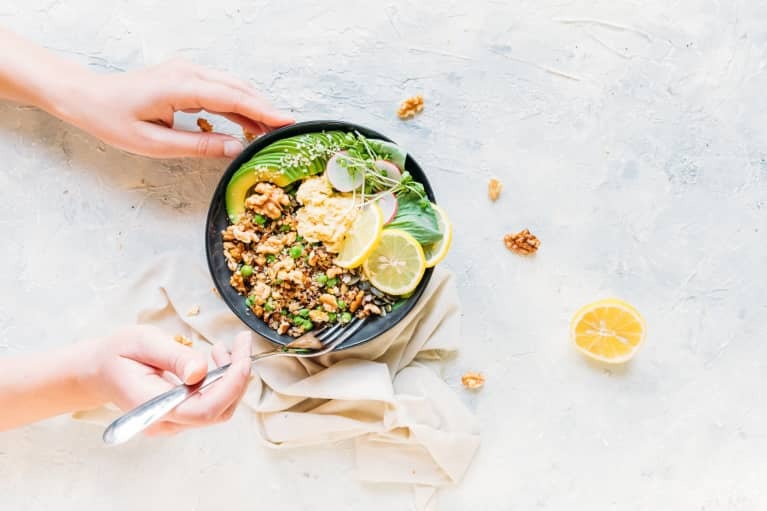 By gently caring for yourself and setting the intention for healing and relaxation while pampering your skin at the same time, this is a great way to start of end your day.